A highly effective, all-natural concentrate, summoning the late evening bloom of golden Evening Primrose. Over time, skin ages and naturally loses elasticity and bounce. 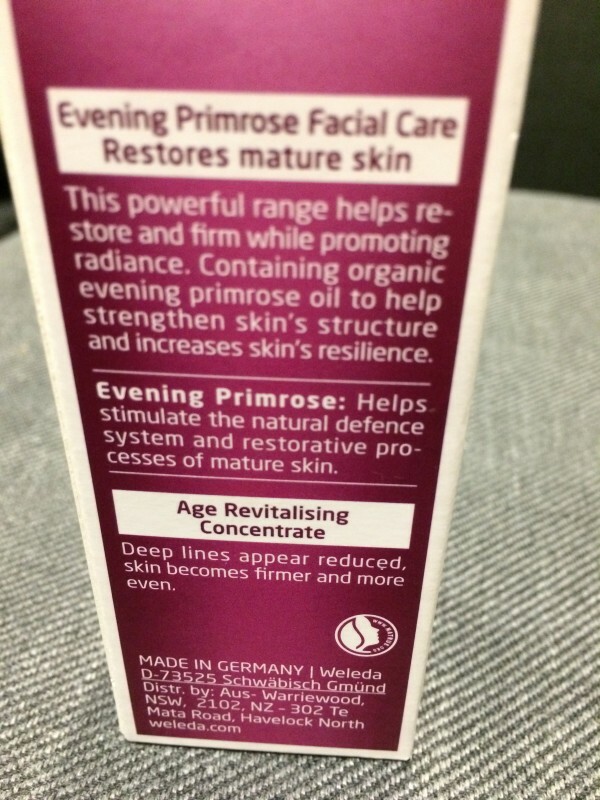 Evening Primrose Age Revitalising Concentrate is a life-saver for the mature ethical shopper, with 100% natural ingredients which energise cell renewal and strengthen your skin. Contains highly active organic evening primrose oil, moisturising aloe vera and invigorating centella asiatica extract. You’ll look radiant and feel good about your skincare, because you’re old enough to know better. 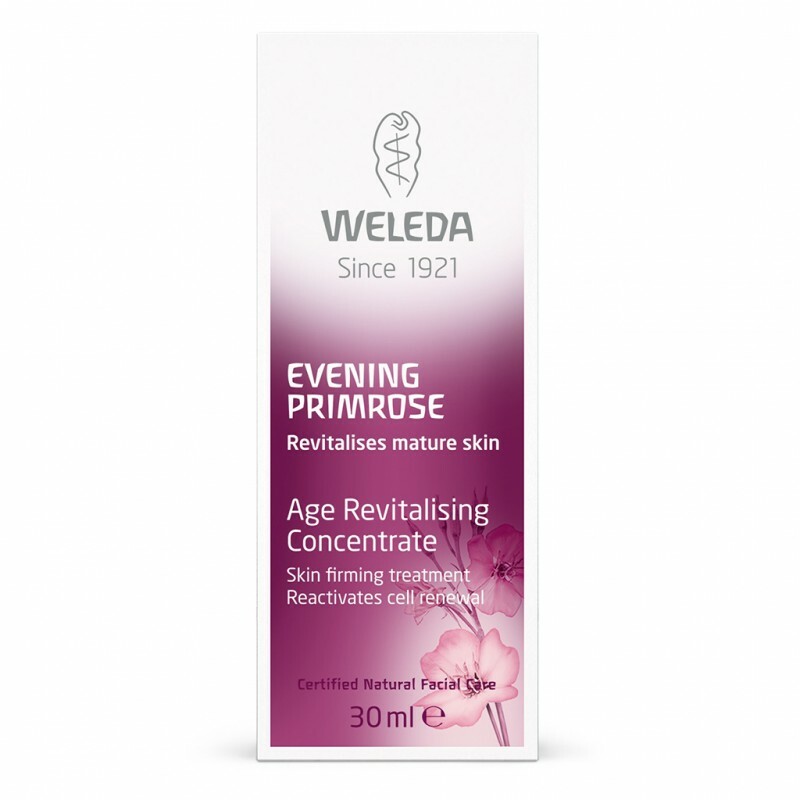 Weleda suggest you use their Evening Primrose moisturiser after applying this. They have a night one and a day one. I have other natural moisturisers to use at present so I use them. * You need only a very small amount to use on all your face and neck. I use about a small pea sized amount. * It is quite expensive it works a lot better than those expensive posh brands on the High street and is also a natural product which these other Posh brands are not. 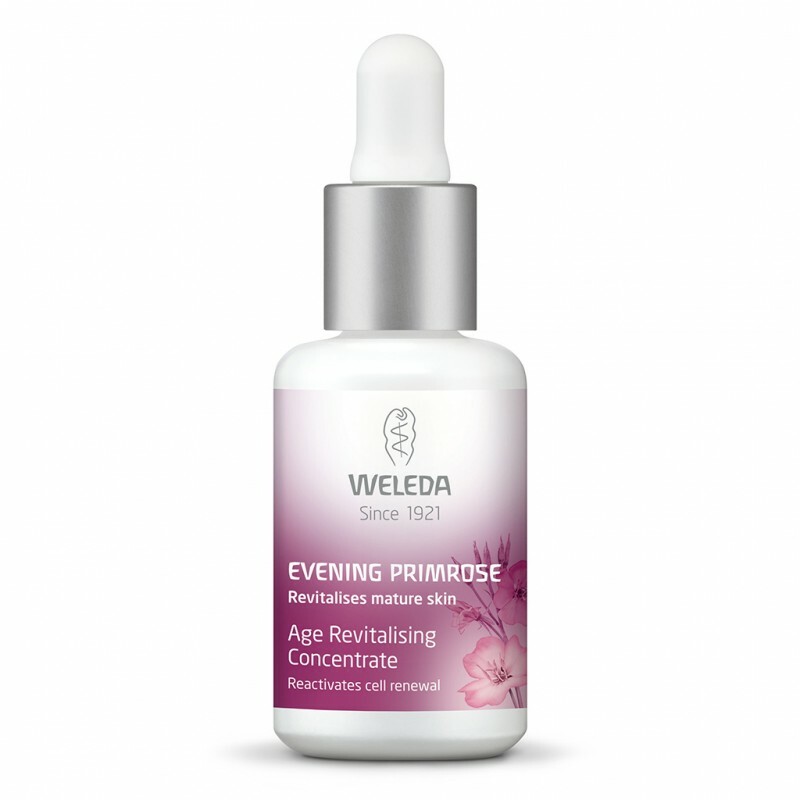 It smells gorgeous, just like the evening primrose perfume Weleda make. It feel lovely on my skin and is almost immediately absorbed into my skin leaving it feeling nourished but not at all greasy . You can apply moisturiser after using or use it alone. You can apply make up on top as it doesn’t cause make up to slip around at all. I have noticed my skin looks brighter and also the lines are less obvious on my forehead and around my eyes too. I do feel this is a great and very effective product. 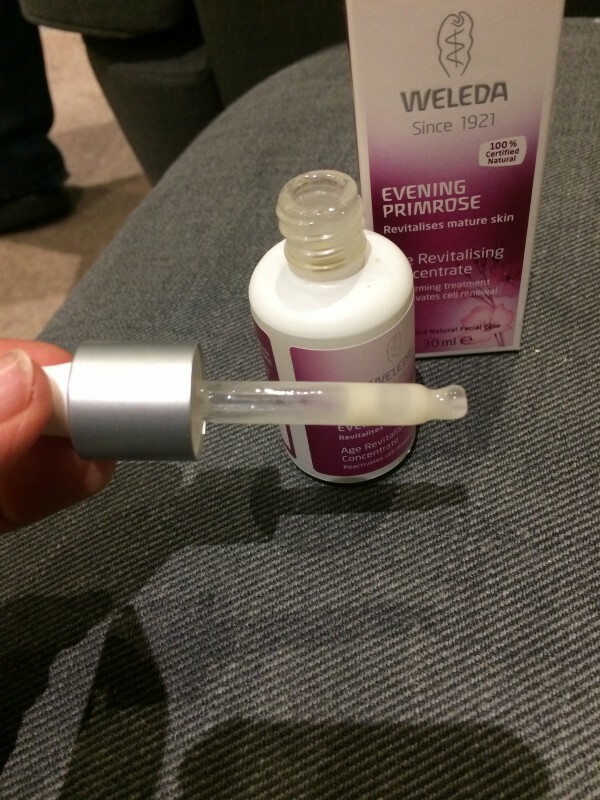 "Weleda suggest you use their Evening Primrose moisturiser after applying this. They have a night one and a day one. I have other natural moisturisers..."